A list of personnel from the US army special operations command (USASOC), the go-to branch of irregular warfighters for neocon leaders in the throes of americas drunken, post-911 rampage. The identitys of this organisations leadership caste are not easy to discern, as there is no centralised database for such inquirys, and there are very few published articles that will mention more than one or two of these officials at any time. Mir bahmanyars book on the US rangers is one rare example. By and large, though, all these names must be painstakingly tracked down, with hundreds of man hours put in to get tangible results. Its clear that there is a degree of secrecy present even in simple tier-two units... Anyone who wanted to get hold of a personnel roster for these organisations would be faced with a black hole, especially regarding those leaders who served during the sensitive period of the 90s. The list assembled here is now several months old, and was going to be kept private (in the interest of not drawing unwanted attention from the national security apparatus), but current developments have made this level of caution unnecessary. Civil disobedience is on the rise, happily, and the illusion of government authority is slowly beginning to erode. This post is simply another small step in undermining the authoritarian police state that has seized hold of western democracys. Note: The tenure durations listed below are generally accurate to within a month or so, but in some cases, information is so sparse that only the year in which the leader served is known. For the 19th and 20th SFGs (and 4th psyop groups sub-units) in particular, there is no public data available on the commanding officers at all! This list has many gaps present, and needs to be vetted by individuals with extensive knowledge of americas special operations members. Colonel Christopher St. John: Aug 1999 - July 2001. Colonel James A. Treadwell: Aug 2001 - June 2003. Colonel Jack N. Summe: July 2003 - June 2005. Colonel Kenneth A. Turner: July 2005 - June 2007. Colonel Curtis D. Boyd: July 2007 - Aug 2009. Colonel Carl E. Phillips: Aug 2009 - Dec 2012. Colonel Stanley A McChrystal: June 1997 - July 1999. Colonel P.K Keen: Aug 1999 - July 2000. Colonel Joseph L. Votel: July 2001 - Aug 2003. Colonel James C. Nixon: Aug 2003 - June 2005. Colonel Paul J. LaCamera: July 2005 - July 2007. Colonel Richard D. Clarke: Aug 2007 - Aug 2009. Colonel Michael E. Kurilla: Sept 2009 - Aug 2011. Lieutenant colonel S.G Hoogland: June 1997 - Aug 1998. Lieutenant colonel Joseph L. Votel: Aug 1998 - July 2000. Lieutenant colonel Tony Thomas: July 2000 – July 2002. Lieutenant colonel Michael M. Kershaw: July 2002 - July 2004. Lieutenant colonel Richard D. Clarke: Aug 2004 - Aug 2006. Lieutenant colonel Brian Mennes: July 2008 - Feb 2010. Lieutenant colonel Stanley A. McChrystal: Nov 1994 - June 1996. Lieutenant colonel J.M Bednarck: June 1996 - June 1998. Lieutenant colonel M.C Okita: June 1998 - June 2000. Lieutenant colonel Kevin C. Owens: June 2000 - June 2002. Lieutenant colonel Jeffrey L. Bailey: June 2002 - June 2004. Lieutenant colonel David B Haight: June 2004 - July 2006. Lieutenant colonel M.J Ferriter: July 1996 - July 1998. Lieutenant colonel D.B Allyn: July 1998- June 2000. Lieutenant colonel J.C Nixon: June 2000 - June 2001. Lieutenant colonel S.J Banach: June 2001 - June 2003. Lieutenant colonel Paul J. LaCamera: June 2003 - July 2004. Lieutenant colonel J.G Castles: July 2004 - July 2006. Lieutenant colonel Daniel R. Walrath: July 2008 - Feb 2010. Colonel Bryan D. Brown: 1993 - 1994. Colonel Dell D. Dailey: 1994 - 1996. Colonel Richard A. Cody: 1996 - 1997. Colonel Howard W. Yellen: 1997 - 1999. Colonel Richard B. Bowman: 1999 - 2001. Colonel Richard L. Polczynski: 2001 - 2003. Colonel Andrew N. Milani: 2003 - 2005. Colonel Kevin W. Mangum: May 2005 - May 2008. Colonel Clayton M. Hutmacher: May 2008 - June 2011. Lieutenant colonel Clayton M. Hutmacher: July 2006 - May 2008. Lieutenant colonel Van J. Voorhees Jr: May 2008 - May 2009. Lieutenant colonel Allan Pepin: May 2009 - May 2011. Lieutenant colonel Mike Hertzendorf: May 2011 - 201?. Lieutenant colonel John R. Evans: June 2006 – June 2008. Lieutenant colonel Thomas R. Drew: June 2008 - 20??. Lieutenant colonel Walter Rugen: Aug 2007 - June 2009. Lieutenant colonel Kirk E. Keepers: June 2009 – May 2011. Lieutenant colonel James C. Dugan: Nov 2007 - July 2008. Lieutenant colonel Mike Hertzendorf: July 2008 - July 2010. Lieutenant colonel Heath Niemi: July 2010 - July 2012. Major general William F. Garrison: 1995 - 1996. Major general William P. Tangney: 1997 (May 1996?) - Mar 1998. Lieutenant general Kenneth R. Bowra: Mar 1998 - Mar 2000. Major general William G. Boykin: 2001 (?) - 2003. Major general Geoffrey C. Lambert: 2003 - 2004. Major general James W. Parker: 2006 - June 2008. Major general Thomas R. Csrnko: June 2008 - Aug 2010. Major general Bennet S. Sacolick: Aug 2010 - 201?. Brigadier general Hector E. Pagan: 2007 - 2008. Brigadier general Bennet S. Sacolick: 2008 - 2010. Colonel Ferdinand Irizarry: 2010 - 201?. Major general William P. Tangney: May 1995 - May 1996. Major general Kenneth R. Bowra: May 1996 - Mar 1998. Brigadier general Frank J. Toney: May 2000 - Sept 2001. Major general Geoffrey C. Lambert: Sept 2001 - May 2003. Brigadier general Gary M. Jones: May 2003 - Sept 2005. Major general John F. Mulholland: Sept 2005 - July 2006. Major general Thomas R. Csrnko: July 2006 - July 2008. Major general Michael S. Repass: July 2008 - July 2010. Major general Edward M. Reeder Jr: July 2010 - July 2012. Colonel Russell Howard: 1994 - 1996. Colonel David P. Fridovich: Aug 2000 - 2002. Colonel Richard G. Thomas Jr: 200? - Sept 2006. Colonel Eric P. Wendt: Sept 2006 - July 2008. Colonel Rand Binford: July 2008 - July 2010. Colonel Francis Beaudette: July 2010 - June 2012. Colonel Mark D. Boyatt: 1995 - 1996. Colonel Gary M. Jones: 1998 - 2000. Colonel Philip R. Kensinger: 2000 - 2002. Colonel Joseph D. Celeski: July 2002 - July 2004. Colonel Patrick Higgins: July 2004 - Sept 2006. Colonel Christopher K. Haas: Sept 2006 - July 2008. Colonel Gus Benton II: July 2008 - July 2010. Colonel Mark C. Schwartz: July 2010 - July 2012. Colonel T. M. Carlin: Aug 1995 – Aug 1997. Colonel D. P. Brownlee: Aug 1997 – July 1999. Colonel C. W. Paxton: July 1999 – July 2001. Colonel John F. Mulholland: July 2001 – July 2003. Colonel H. E. Pagan: July 2003 – July 2005. Colonel K. McDonnell: July 2005 – July 2007. Colonel C. E. Conner: July 2007 – Aug 2009. Colonel M. E. Mitchell: Aug 2009 – Aug 2011. Colonel Salvatore F. Cambria: - June 2001. Colonel Peter J. Dillon: June 2001 - July 2003. Colonel Jeffrey D. Waddell: July 2003 - Aug 2005. Colonel Edward M. Reeder: Aug 2005 - Dec 2007. Colonel Sean P. Mulholland: Dec 2007 - May 2009. Colonel James E. Kraft Jr: May 2009 - July 2011. Colonel Geoffrey C. Lambert: 1994 -1995. Colonel Charles T. Cleveland: 2001 - 2003. Colonel Michael S. Repass: 2003 - Sept 2005. Colonel Kenneth E. Tovo: Sept 2005 - Jan 2008. Colonel Darsie D. Rogers, Jr: Jan 2008 - June 2009. Colonel Sean P. Swindell: June 2009 - 200?. 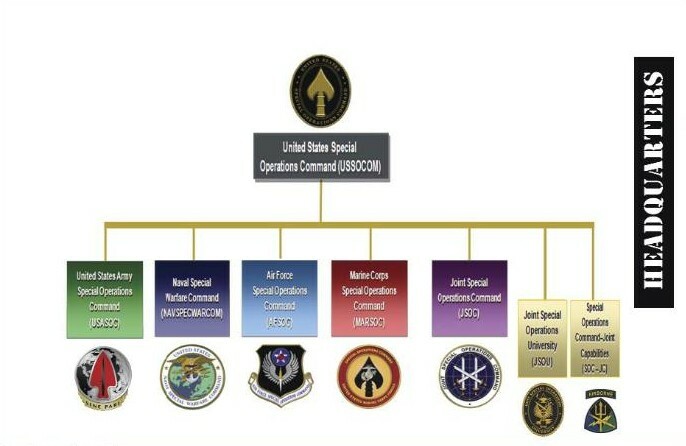 Now, while this list has so far only detailed the names of commanders within USASOCs sub-units, it would also be prudent to list the identitys of leaders within the USASOC branch itself, as well as its parent organisations like JSOC and SOCOM (seeing as they featured so prominently in the 'war against terrorism'). These individuals have been responsible for perpetrating numerous war crimes, and they need to start getting bad attention from the public! Lieutenant general J.T Scott: 1996 -1998. Lieutenant general William P. Tangney: 1998 - 2000(?). Lieutenant general Bryan D. Brown: Oct 1999 (June 2000?) - Aug 2002. Lieutenant general Philip R. Kensinger Jr: Aug 2002 - Dec 2005. Lieutenant general Robert W. Wagner: Dec 2005 - Nov 2008. Lieutenant general John F. Mulholland: Nov 2008 - July 2012. Brigadier general William P. Tangney: Oct 1994 - May 1995. Brigadier general Gary M. Jones: 2000 - 2002. Brigadier general Charles T. Cleveland: 2003. Brigadier general Mark V. Phelan: May 2005 - July 2006. *Brigadier general Raymond Palumbo: 2009 - July 2010. 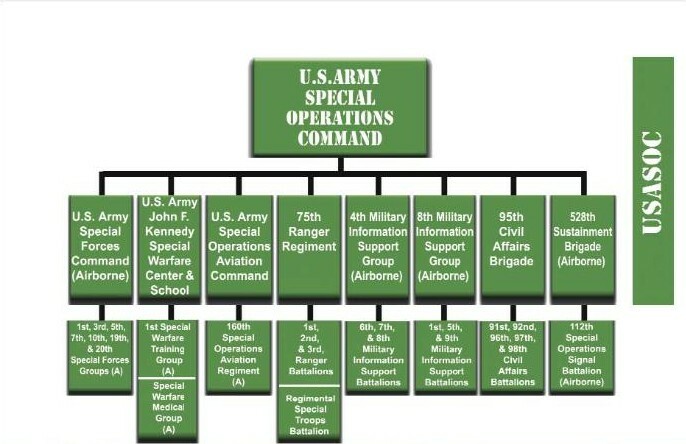 Major general William K. Fuller: July 2010 - 2012. Major general Peter J. Schoomaker: July 1994 - Aug 1996. Major general Michael Canavan: Aug 1996 - Aug 1998. Lieutenant general Bryan D. Brown: 1998 - 200?. Lieutenant general Dell L. Dailey: 2001 - March 2003. Lieutenant general Stanley McChrystal: Sept 2003 - June 2008. Vice admiral William H. McRaven: June 2008 - June 2011. Brigadier general Charles R. Holland: June 1993 - June 1995. Brigadier general Gregory L. Trebon: July 2000 - Jan 2003. Brigadier general Lyle M. Koenig Jr: Feb 2003 - Jan 2004. Brigadier general Raymond P. Palumbo: Sept(?) 2004 - July 2007. General Wayne A. Downing: May 1993 - Feb 1996. General Henry H. Shelton: Feb 1996 - Sept 1997. General Peter J. Schoomaker: Nov 1997 - Oct 2000. General Charles R. Holland: Oct 2000 - Sept 2003. General Bryan D. Brown: Sept 2003 - July 2007. Admiral Eric T. Olson: July 2007 - Aug 2011. Rear admiral Ralph E. Suggs: 1999 - 200?. Lieutenant general Bryan Brown: Aug 2002- Sept 2003. Vice admiral Eric T. Olson: 2006.